One of the guest performers at the upcoming NABC 2010 is Abdul Bari Siddiqui of Dhaka, Bangladesh. Although Bari is a relatively new name to the Bengali music lovers in this part of the world, he is a well known and sought after musician and composer in Bangladesh. Trained as a classical flutist, Bari finds his passion both in the classical ragas as well as the folk tunes and Baul music of Bengal and has created his own genre of folk fusion by fusing North Indian Classical Music with Baul music. 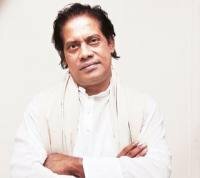 Bari (born 15th November 1954) started his initial lessons in classical vocal music at the age of twelve under Gopal Dutta of Netrokona. Later, in 1981, he was taken under the wings of Ustad Aminur Rahman, a direct disciple of Pandit Panna Lal Ghosh, the famous flutist, and Beenkar Ustad Dabir Khan. Ustad Aminur Rahman spotted Bari during a concert, and offered to tutor him. For the next six years Bari trained under Rahman. Bari also received extensive training from Pandit V G Karnad in Pune. Since 2000, besides playing the flute, Bari started to perform vocal music and his first album “Srabon Megher Din” was an instant hit and won him several awards. With this passion for around four decades, Bari reserves that the difference between the Indian and European music is that, “Indian music comes from silence whereas the European music comes from sound.” Bari maintains that the Indian way is more melodious with the “Miir” and more natural with the typical natural bamboo flute. As of his Gurus, he believes in praying through his tunes and devotes all his creation to eternity. Bari has performed in countries like India, Pakistan, Singapore, Indonesia, Thailand, Burma, USA, England, Switzerland, France and many other European countries. In 1999 at the World Flute Conference in Geneva, where representatives from seventy countries took part, Bari Siddiqui was the only representative from the Indian subcontinent. He received many awards for his performances at Fajar Music Festival award in Iran, World Flute Conference Award in Geneva, International Film Movement Association Award, and Bachshash Award. To listen to some of his tunes visit Bari’s website at http://www.barisiddiqui.net/.